The Palestinian who filmed the Hebron shooting believes himself to be in danger; the soldier he filmed trained constantly before his enlistment, and he was apparently influenced by right-wing extremists. We saw the complete video of the soldier shooting the wounded terrorist on Imad Abu Shamsieh's laptop at his home. Abu Shamsieh is an amateur photographer who has a camera that was given to him by B'tselem to document what goes on outside his home in Tel Rumeida in Hebron. We arrived on Monday morning. He told us that, on hearing gunshots, he immediately rushed out of his house with camera in hand and documented the entire event that he saw through the camera's eyepiece. A group of soldiers and civilians were standing on the steep street, twenty meters away from Abu Shamsieh. Suddenly, a soldier came within the frame. In a few moments, he would be known as the "shooting soldier." The next day, Tuesday afternoon, we again saw the "shooting soldier," both of his hands handcuffed to an arm of a military police officer. In front of the soldier stood a battery of photographers and journalists who bombarded him with questions, but he was quiet and lowered his gaze. He was led into courtroom number one in the southern courts-martial building in Qastina for the extension of his remand. Inside, on the old wooden benches, his relatives waited for him. When they saw him handcuffed and hunched over, they tried to raise his spirits, and only his mother could not control herself and burst into tears. This is a complex affair that was born in an abnormal reality. It spans from the disputed violent city of Hebron to the military tribunals, and the life story of a young man who grew up in a mixed Arab-Jewish town. Everyone who knew him now recounts his pleasant character and how in the tenth grade he used to get up before sunrise and run to prepare for his military service. "It was his lifelong dream," a family friend said, "to serve in a combat unit. He didn't entertain any thoughts about serving anywhere else that would be more comfortable." We wondered where to start. We thought about going to the soldier's house in the center of the country, but, on second thought, we wouldn't have needed this affair's protagonist if the video of him had not been filmed. Who knows—maybe without the video, this would have simply ended up as an internal investigation within the battalion. That's why we chose Abu Shamsieh's home as our first stop. He is a 46-year-old father of five, a humble cobbler who fixes shoes at his house. He was given the camera five years ago after his daughter Madeleine was allegedly stoned by settlers on her way to school. "Following the attack, B'tselem approached me and asked me if I knew how to film. I said, 'Yes, just show me how to work this thing.' It didn't seem to be a big deal to me. Since then, I've been a volunteer photographer, without money—that is, I do it because I am a human rights activist. "The morning of the incident, on Thursday, me and my wife Faiza were sitting here in the living room and drinking coffee. Suddenly, we heard gunshots from the street above, from the direction of the checkpoint. We immediately went to see what happened. "Of course I took my camera with me, because I always take it in these situations. It's automatic for me. As I went into the street, I saw a man dressed completely in black lying on the street. I didn't know if he was an Israeli or Palestinian. Afterwards, it turned out that it was a man named Abd al-Fatah Sharif. I then panned the camera upwards, and I saw another young man lying on the road lying on the ground, farther away from me, named Ramzi al-Kasrawi. "I zoomed out to catch the entire scene and then zoomed in towards Sharif and saw that he was slightly moving; that is, Sharif was alive. The other person didn’t move; I understood immediately that he was dead. "Suddenly two soldiers came towards the wounded man and stood over him. He was lying on his right side; his left leg was slightly bent. Another soldier pushed him with his foot and flipped him on his back with his face up. Here, look, it's in the video. "They're looking at him and slowly backing away from him, not afraid; apparently, they know that he has nothing on him. When one of the soldiers saw I was filming, he told me to get out of there. I left the street and climbed onto my neighbor's house, from where I continued filming." At this stage several soldiers and civilians could be seen. One of them, bearded and wearing a white shirt, is Shlomo Levinger, who was Abu Shamsieh's neighbor in Tel Rumeida. He is 42 years old, a principal at an elementary school in Kiryat Arba, and a father of seven children. "Usually," Levinger said, "I'm at work at that time, but that day it was Purim, so I didn't work. I just came home from morning prayers when I was informed that there had been a stabbing at Gilbert. That's what we call the checkpoint under our house, Checkpoint Gilbert. "I went out immediately, and I ran over there. I saw the wounded soldier sitting down and a bent-over civilian holding a dressing on the stab wound on the soldier's shoulder. I also saw two young men lying on the ground. The closer one was dead, not moving, and the second one was lying down and looking at us. He moved his right arm. It wasn't clear what he was trying to do: reach for his knife that was not far from him or blow himself up. Why did I think that he might blow himself up? Because there were people there who were yelling, 'Don't get close to him, so that he won't blow up.' I heard this in the background several times, but this wasn't concerning me because I was waiting for an ambulance and the medics who would treat the wounded soldier. From the corner of my eye I saw someone photographing, I noticed him from the beginning. There were also Jews who were filming. People film here all the time, everybody films everybody, so we're used to it." Did you see the shooting soldier arrive on the scene? "I didn't pay attention to him; I was busy with the wounded man. When the ambulance got there, we removed the stretcher and placed the soldier on it. The ambulance had to go in reverse to get out of there, so I was directing them, and suddenly I heard the shot. I was frightened. At first, I thought that the wounded terrorist on the ground had exploded. Instinctively, I moved to the side and I asked what happened, and they told me, 'They shot him.'" Abu Shamsieh had meanwhile changed positions and continued filming. In total, he filmed over twenty minutes. What happened on the scene was banal. Nobody seemed to be stressed. Two ambulances came, the stabbed soldier was loaded onto a stretcher, his upper torso bare, and he was placed into one of the ambulances. "I saw it all through the camera," Abu Shamsieh said. "I didn't focus on anyone in particular. But suddenly one of the soldiers cocked his gun. I set my eyes on him, that is, the camera, to see what he was doing. He went forward a few steps, pointed his weapon and fired a single shot at Sharif. I zoomed in on Sharif's head and saw blood flowing out of him. At that moment, I understood that I had filmed something very critical. My heart beat strongly. I was afraid. The sight of the shooting and the bleeding had frightened me. I never filmed anything this big. When I filmed, I never imagined that it would ever come to this. "You can see that even after the shooting, a solider that saw me filming on the roof came to me and asked me to move away. Here, look. I was afraid that if the soldier who shot saw me filming, he would shoot at me also. But what frightened me the most was that they would take the footage away from me, the camera and its memory card. So after a few moments, I quickly shut off the camera and I returned home short of breath. He was astonished. I showed him the footage of the shooting and he said, 'That is a very strong clip,' and added that he would help me to sell it for lots of money. I completely refused. I told him, 'I'm a human rights activist; I don't film for money'. He responded,' No problem, publish it for free, I know 300 news agencies who will want this clip. Just give me a power of attorney'. That is how it unfolded. Afterwards, I called B'tselem and I told them I had filmed something very serious, something that for the first time proves the execution of a Palestinian. I sent them the clip. Within a short time, it was shown worldwide, and it was all from this laptop, which is quite old." "You Israelis don't understand what these pictures are doing to you internationally," he explained. "They will only add to your isolation in the world. They'll give a huge boost to BDS. Even friendly countries will not be able to ignore the pictures that Abu Shamsieh filmed." Afterwards, the neighbor, Levinger, told us, "Everyone who lives here is aware that everything is filmed." He meant the Jewish inhabitants. "We are used to being filmed. There are dozens of Palestinians with cameras. The day after the shooting, on Friday I ran again over to Gilbert because we received notice of a female terrorist with a knife at the checkpoint. As I came out of the house, I saw Palestinians filming from the rooftops. "Not a single shot was fired, but they knew immediately that there was someone there. Here, look at them. I filmed them filming. This is not just a fight of stabbing attacks or a fight against terrorism, but a fight over the narrative. As a person who was there at the event, I say that there was a feeling of danger that the terrorist would blow himself up. But if we are talking about damage to image, the way the event looks on the clip, I'm not sure— and I say this delicately—that it looks good. The narrative in this case is bad for us. The images strengthened the other side's narrative because there was no connection to the entire event." The next day, at the military tribunal in Qastina, the soldier's parents were sitting and waiting for the start of the court-martial. They seemed agitated, strained from their position. Right at the base's gate were gathered dozens of Beitar fans from the La Familia organizations who were cursing everyone. Two fans set the beat with two large drums. The soldier's father is retired, and his mother a housewife. Both of them immigrated from abroad, and their four children were born here. The shooting soldier is the youngest son. "This is a warm and close family," says a family friend, "but this event is causing a huge amount of chaos. Now many of the son's friends are coming to his parents and telling them how they used to call him when they had a problem, because no matter what, he would come to their aid. "I once sat with a childhood friend of his who said that, not long ago, during one of the soldier's furloughs, the soldier told him that he saw during a military operation a little Arab boy who was hungry, so he gave the boy the food in his vest. That's him, thinking of others first and then of himself. A very humble guy, with a shy smile. When he gets out and sees what happened around him, he'll be very embarrassed. He is not used to being the center of attention." In high school he studied in an Arab-language and literature track, and for his matriculation exams he took the advanced Arabic test. One of his teachers said that the staff really liked him. "He honestly won our respect," she said. "He was a very mature, polite boy, very moral and always smiling. We all tried to remember this week any problems with him, and we couldn't. He had a mensch (a person of integrity and honor —ed. )attitude; even when he made mistakes, he knew immediately to admit them and take responsibility. With my hand over my heart, we are really talking about an honest young man who always followed the rules. Based on my acquaintance with him, I was totally shocked." The teacher said he had an unusual motivation to enlist in a combat unit. "He was really crazy about it. He lives far away from the school, several kilometers away, and often I would see him on rainy or sweltering days walking the distance on foot. When I stopped my car and asked why wasn't taking the bus, why he was walking, he told me that he was preparing for the army. "I told him, 'You have time,' but he smiled and said that he wanted to be ready. In one of our conversations, I told him, 'You only talk about the army, army, army, but what about after your service: What do you do after your discharge?' He smiled at me again, and said, 'I want my future to be in the military, to be a career soldier.' It was clear that he would be a commander, and I told him, 'If you really want it, that's what it will be.'" His Facebook page shows how proud he was of himself, of the fact that he was a combat soldier and medic. His face is round and smooth like a little boy's, and in one picture he is in Beit Jala, and another in Bethlehem. His page also exposes his political leanings. The soldier liked the extremist Beitar fan organization, La Familia, as well as Baruch Marzel and that of the Shadow, an Israeli rapper. In January of this year, he shared the rapper's appeal to the head of the Meretz political party: "Hello Zehava, my name is Yoav Eliasi. Don't be afraid. I would like to ask a favor of you, and it's that you relieve Israel of yourself and your Israel-hating friends from B'tselem and Breaking the Silence. I think it would be much calmer here if you would all just leave. I hope you understand what I am saying and just free us from you all, thank you!" Exactly two months after sharing this post, the soldier himself was caught by B'tselem's lens. His high school teacher remembers that the soldier's father greatly loved his son that became a soldier, "like a kind of inspiration, it seems like he was saying, 'How great it is to have a son like this.'" A family friend said that he was always an introverted good boy, "one who didn't make trouble for his parents. Just last year he got a certificate of excellence from his battalion commander in the Kfir brigade, after he was selected as the outstanding soldier in the battalion." Now, the friend says, the parents are shook up. "For them, this is a nightmare. On Monday, when Defense Minister Ya'alon stood on the podium in the Knesset and said that her son stank, the mother collapsed at home. She and the father see that political battles are being waged over her son, and they are shocked. When they extended his detention on Tuesday, too, the mother collapsed. For forty minutes she sat in the side room in the courtroom and she could not move." As much as we tried to find criticism among the soldier's family and friends about what he had done, we ran into a wall. None of them finds it wrong that the soldier shot the terrorist who was lying injured and bleeding on the road minutes after he was neutralized. This support may be understandable when it comes to his family, but it is more problematic when it comes to active-duty soldiers, who are standing alongside him publicly and with their full name on social media. For example, a member of the unit posted after the incident on Facebook, writing, "When the government and the media pass judgment of someone who was doing his job, it prevents others from doing their job! Neutralize bombs!! Kill terrorists!! Dear brother, we're all behind you. You did the best possible job." The little criticism that is heard is usually anonymous. That's how the officer in the Kfir Brigade shared with Yedioth Ahronoth's military correspondent, Yossi Yehoshua, the details of the investigation into the incident. "In terms of every infantryman in the brigade, we know that the soldier made a mistake," he said. "It doesn't seem legitimate to any of the soldiers to do a thing like that. He is an outstanding soldier, but he let his emotions control him." Military officials stress that the soldier does not have a criminal or problematic background. A soldier is allowed to be right- or left-wing, they say, so long as his views do not affect how he operates. In the shooting soldier's case, his views were not expressed in such a way that may have indicated a problem. There were no precursors. Perhaps he talked politics with his friends in the field, but that, too, is permitted. At the end of the hearing, we left the tribunal, which is near Kiryat Malachi. We called the photographer Abu Shamsieh, who the day before told us about the threats he has received since filming the video. The first time was on the phone, he said. "A man who spoke not-so-fluent Arabic threatened, 'You will regret what that you've taken that footage; we'll burn you and your entire family if you do not leave Tel Rumeida,' and hung up." This conversation happened close to around midnight on the day he filmed the video. The next day, he said, a number of settlers came to his house and screamed curses and threats. We asked if he complained to the police. "I didn't have time," he replied, "I'm still busy with phone calls from all over the world. Every day, journalists are calling me from England,the USA, Sweden, France, there is no place that they didn't call me from. Please write that I am afraid for my life and my family's life. I require international protection." 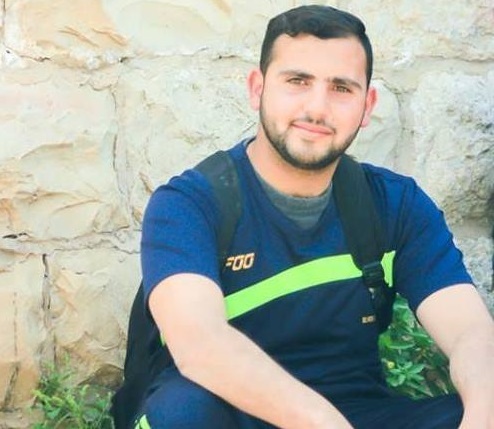 Israeli human rights group B'Tselem has called on Israel's police and army to protect one of its volunteers who received death threats last week after capturing footage of a soldier's gruesome killing of a wounded Palestinian in Hebron. 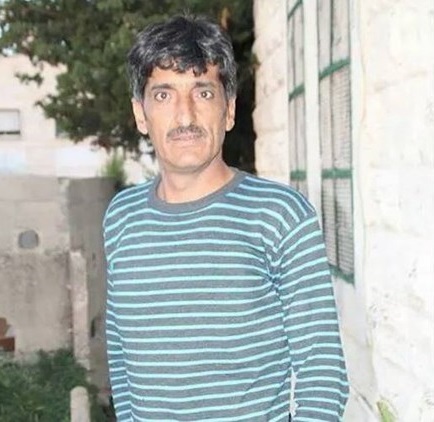 B'Tselem said in a statement Thursday that its director, Hagai El-Ad, had written to Israeli army chief Roni Numa and police head Roni Alsheich to inform them of death threats made against Imad Abu Shamsiyeh. El-Ad requested their assurance that they were "aware of the danger to which Abu Shamsiyeh and his family are exposed," stressing that it was their duty to do all in their power "to protect the family from further violence," the statement said. He highlighted that "this is far from a hypothetical matter: Abu Shamsiyeh is well known in his neighborhood, Tel Rumeida, and in recent years has suffered several attacks by settlers living there. "In light of that, and given the threats issued against him, we fear that these attacks will be exacerbated." On Thursday last week, Abu Shamsiyeh captured on camera the moment an Israeli soldier stepped forward and shot through the head a Palestinian who lay severely wounded on the ground, having been gunned down several minutes before for allegedly stabbing an Israeli soldier. The killing sparked outcry, with a senior UN official branding it an "extrajudicial execution" and a "gruesome, immoral, and unjust act that can only fuel more violence and escalate an already volatile situation." Since a wave of unrest swept the occupied Palestinian territory in October, Israeli forces have frequently been accused of carrying out such extrajudicial killings, although Abu Shamsiyeh's video footage of the incident was rare. Since then, the B'Tselem volunteer and his family have been subjected to death threats and hateful Facebook posts, and have also had stones thrown at their home. Last week he told Ma'an: "I now fear for my life and the life of my family. I'm afraid they might attack my house and do me harm." Most of the violence has been instigated by Israeli settlers who live in Hebron under the protection of Israel's armed forces -- in contravention of international law. 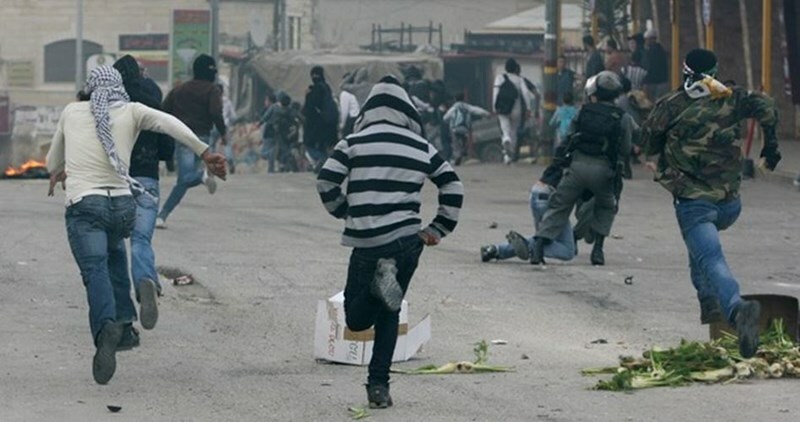 Hebron's settlers are notoriously aggressive, having carried out frequent attacks on Palestinians in the past. Israeli military court of Salem extended the detention of the Palestinian journalist Sami al-Saee, from Tulkarem city, to May 15 after presenting an indictment against him with the charge of incitement on Facebook. The wife of the captive Amani al-Jendeb told Quds Press that the indictment included complete details on posts and comments on her husband’s Facebook page. The wife said that her husband refused all charges against him, insisting on the fact that he practices his work as a journalist with professionalism. He spent 10 days in solitary confinement at Megiddo Israeli jail, she pointed out. 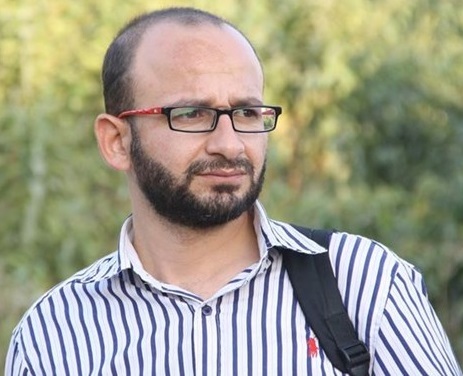 Israeli forces arrested journalist Saee, 35, from his home in Tulkarem on March 09. He works as a news editor at al-Fajr al-Jadid local TV in the city. Detainee Saee spent 4 months in Israeli jails in 1997. 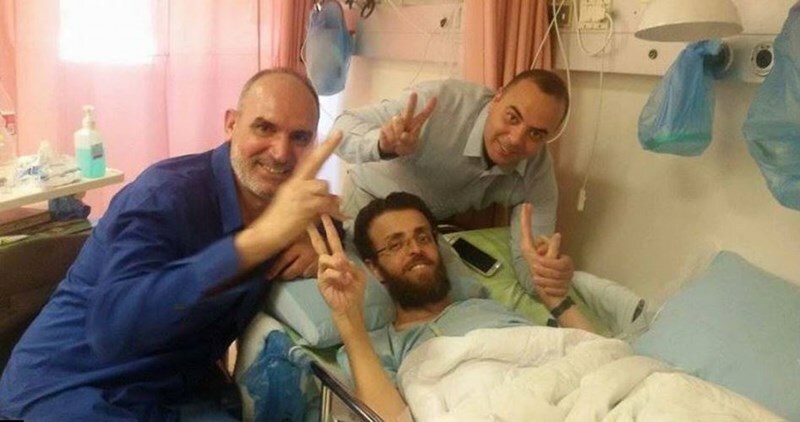 The Palestinian cancer patient prisoner Yousri al-Masri was transferred on Monday evening to Ramla prison hospital after suffering serious health deterioration. 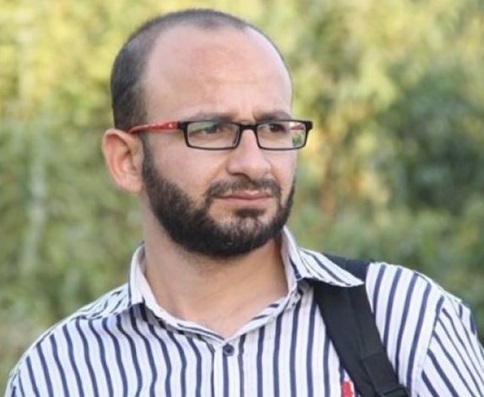 Family sources affirmed to the PIC reporter that al-Masri’s health situation had severely deteriorated which led to his transfer to Ramla prison hospital. The Israeli Prison Service (IPS) refused for five months to allow medical tests for al-Masri who suffers from neck cancer and severe liver pains, his brother Yasser al-Masri said. 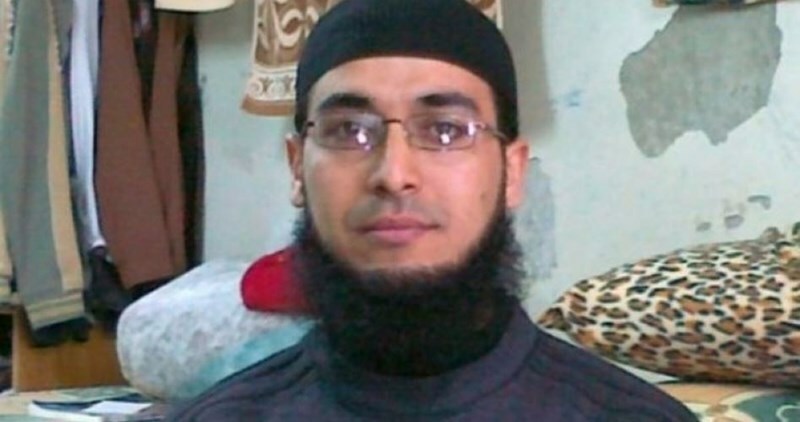 Although he had remained in Ramla prison hospital for 40 days, al-Masri didn’t conduct any medical tests nor did he receive any medical treatment. 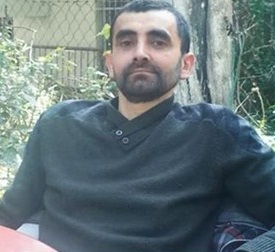 Al-Masri’s family had earlier submitted a request demanding his release after he spent two-thirds of his sentence due to his serious health situation. However, the IPS refused to submit the family’s appeal to the court. The family held the IPS fully responsible for Yasser al-Masri’s safety. Al-Masri was arrested in 2003 and sentenced for 20 years imprisonment. While in prison, he suffered neck cancer which led to severe health deterioration. Meanwhile, Salem military court postponed on Monday the court session of the cancer patient prisoner Bassem al-Sayeh to April 21. The court also allowed a doctor to visit him on Tuesday and to check on his health condition. 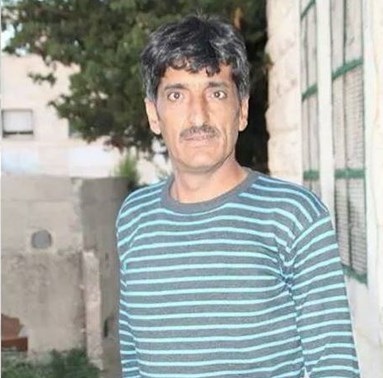 Al-Sayeh , 43, was arrested for allegedly being involved in Beit Furik anti-occupation attack during which two Israeli settlers were killed in early October last year. Family sources said that he was brought to court on a wheelchair as he was unable to move or to talk. Al-Sayeh suffers from blood and bone cancer, in addition to chronic pneumonia and severe heart problems. Israeli soldiers invaded, on Tuesday at dawn, several areas in the southern West Bank district of Hebron, broke into and searched dozens of homes, and kidnapped eleven Palestinians, while another Palestinian was kidnapped on the Container military roadblock. The Palestinian Prisoners Society (PPS) said dozens of soldiers invaded several neighborhoods in Hebron city, before breaking into and searching homes, and kidnapped six Palestinians, identified as Raed Hmeidan Sharabati, 45, Sa’id Abu Sneina, Mahmoud Seder, Mahmoud al-‘Oweiwy and his brother Ahmad, in addition to a journalist identified as Mosab Khamis Qfeisha. The soldiers also invaded Deir Samet town, southwest of Hebron, and kidnapped one Palestinian identified as Riyad Mohammad al-Hroub. Furthermore, several military vehicles invaded Yatta town, south of Hebron, searched and ransacked many homes and kidnapped Mohammad Mahmoud Abu Zneid, 32, Ahmad Thabet Hasan Najjar and Samir Mohammad Bheiss. Another Palestinian, identified as Riyad Nammoura, was kidnapped from his home in Abu al-‘Asja village, south of Hebron. In addition, soldiers stationed on the Container Roadblock, southeast of occupied Jerusalem, stopped many Palestinian cars and searched them, before kidnapping Abdul-Rahman Waleed at-Teety, from the al-Fawwar refugee camp, south of Hebron. The soldiers also installed roadblocks on the main roads leading to the towns of Sa’ir, Halhoul and Yatta, in addition to Hebron’s northern entrance before stopping and searching dozens of cars, and examined the ID cards of scores of Palestinians. Israeli army sources alleged that the wounded Palestinian had sought to stab Israeli soldiers. Palestinian eyewitnesses disputed the Israeli narrative. The hair-raising images of the crime generated angry reactions throughout the world. The Israeli foreign ministry reportedly privately complained that the brief sketch might further tarnish Israel’s image. Israel is already trying to fight a deepening international campaign aimed at boycotting Jewish settlements, viewed as illegal and illegitimate under international law. The campaign, known as Boycott, Disinvestment and Sanctions (BDS) has already prompted many foreign firms to terminate their operations in the settlements. Earlier this week, the Israeli army briefly reprimanded the murderer for a few hours. However, the Hebrew media has pointed out that the symbolic detention and interrogation of the murderer was a purely public relations measure, which would mitigate angry reactions and help Israel portray herself as law-abiding country unlike other countries in the Middle East. Abu Shamsiyya on Monday appealed to Palestinian Authority (PA) President Mahmould Abbas to protect him and his family from settler attacks. “These people are barbarians and savages who could embark on the unthinkable.” Abu Shamsiyya added that the “Israeli army and government stand virtually powerless to rein in these hateful criminals. The reason for this is that the government itself and the army, to a large extent, are more or less controlled by the settler camp.” In the past few years, settler terrorists crossed several red lines, including burning alive a Palestinian boy near Jerusalem, burning the home of a Palestinian family, the Dawabsheh family, resulting in the death of both parents and their child, and vandalizing several Muslim and Christian places of worship. Last week, settler terrorists burned the home of a Palestinian witness who saw the deadly incident of burning the Dawabsheh family home. Many settlers apparently harbor a decidedly genocidal mindset vis-à-vis Palestinians and non-Jews in general. They believe that the partial or complete physical extermination of the Palestinians, following the Biblical style, would expedite the appearance of the Redeemer or Jewish Messiah. The Redeemer, according to some Talmudic sages and Jewish mystics, would then bring about lasting salvation to Jews and the world and create a worldwide empire ruled from Jerusalem.